First,connect the programmer to the OBD port of the car. Secondly, Insert the original key into the ignition lock, turn to " ON" position ,then remove this key after the theftproof light off. Third, insert the new key into the ignition lock, then turn to " ON" position, the new key will successful when the theftproof light off. 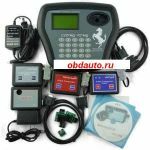 Now can remote the programmer from the OBD port. 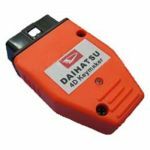 With this software you can program keys/transponders for vehicles, bikes or trucks from different brands that using Megamos 13, Megamos 48 (Megacrypt I), Megamos 8E (Megacrypt II), Texas 4C, Temic 11, Temic 12, T5, TK5555, Philips PIT - 7930/7931/7935 (PIT), Philips HITAG2 – 7936, 7941, 7942, 7943, 7944, 7945, 7946, 7947, 7952, 7953, 7961.